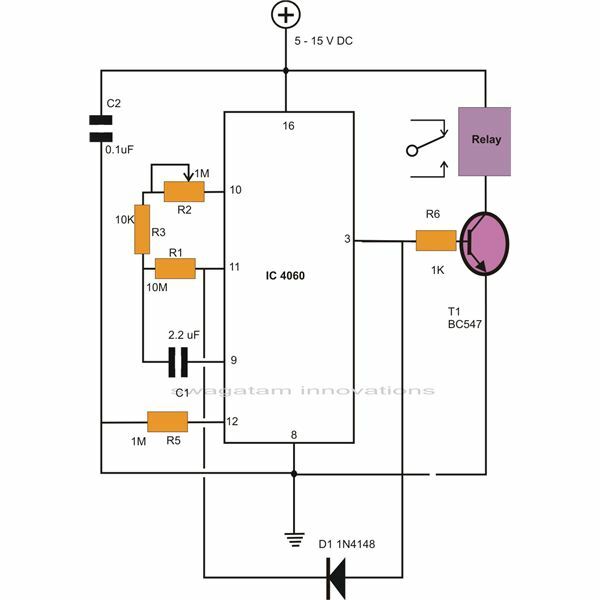 Technically the IC 4060 is a 14-stage, ripple carry binary counter, divider and oscillator monolithic integrated circuit, packaged in a 16-pin dual-in-line ceramic or plastic casing. A built-in oscillator stage becomes the main feature of this IC, which helps to keep the component count around the IC to the minimum while designing frequency generators or oscillators. 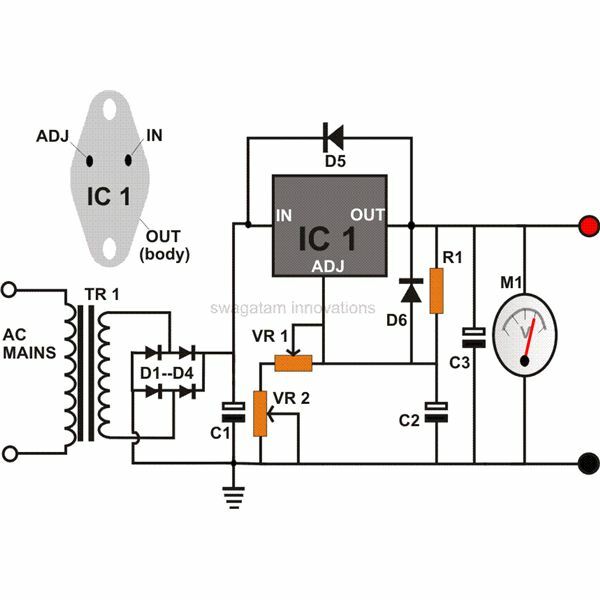 The internal oscillator stage is made operational simply through a network of resistors and a capacitor connected to the pins 8, 9, and 10. 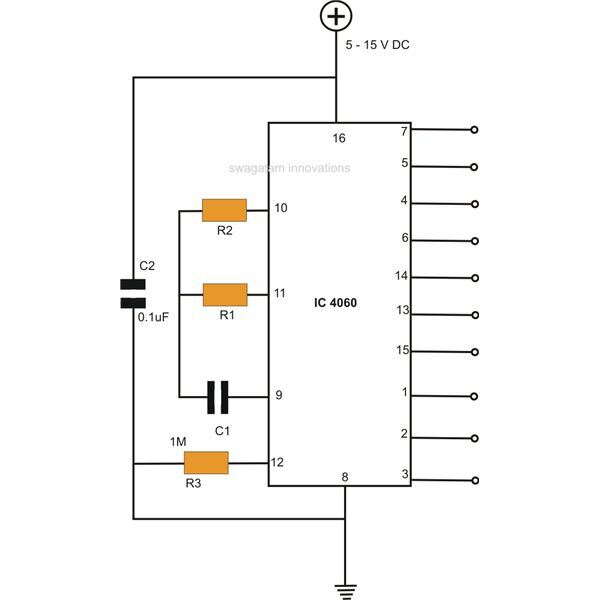 As per the standard rules of CMOS ICs, all the inputs must be first taken care of by designating them to some logic activity or simply to a voltage level (not exceeding the supply voltage level). 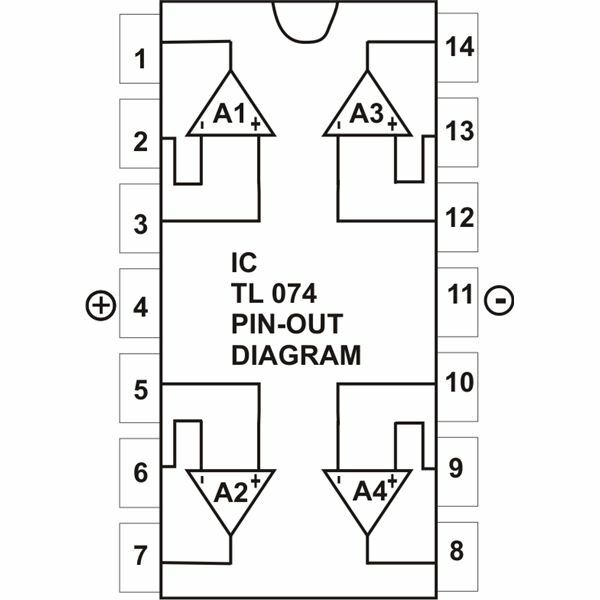 For this IC, pin #9, 10, 11 and 12 are the active inputs. Referring to the adjacent figure, pin #10 and 11 are connected with resistors while pin #9 is terminated with a capacitor, and the free ends of these components are all joined together. Here the resistor at pin #10 and the capacitor form the main frequency determining components; the resistor at pin #10 is generally replaced with a pot or preset so that the frequency range becomes manually selectable. A series fixed resistor is included with the pot to avoid the oscillation from falling to zero when the pot is adjusted to its minimum level, though that won’t have any negative consequence for the IC. The resistor at pin #11 can be considered as some sort of clamping or reference resistor whose value must be ideally 10 TIMES more than the resistor connected at pin #10 (combined value of the pot and the fixed series resistor). The capacitor connected at pin #9 is generally a non-polar type. Pin #12 is the reset input of the IC, which must be connected to the ground for enabling the IC to function (oscillate). 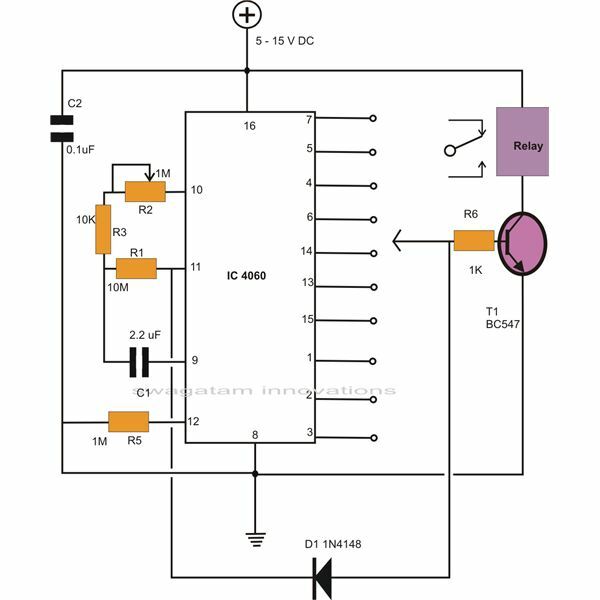 Connecting this input to the positive instantly stops the IC from oscillating and resets it back to its original state. For example, suppose initially the pin is connected to the ground enabling the IC to count (oscillate) for some period of time (say 1 minute), connecting the pin to the positive would immediately halt the counting and reset it back to zero. The rest of all the pin-outs are the outputs of the IC which generate oscillations at specific rates. The rate is in multiples of two for the entire sequence of the pin outs, as given in the diagram. Pin #3 provides the lowest frequency, or pulses having the highest time intervals, while pin #7 with the highest frequency, or pulses with lowest time intervals. The above are the only steps required, through which the IC is fundamentally set up. The set up can be modified or enhanced in many different ways for different applications. 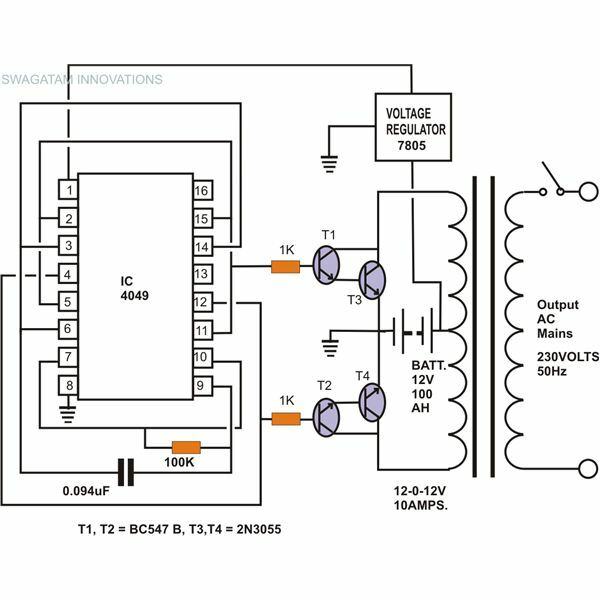 Whenever we switch ON power to any electronic equipment, the power surge tends to generate an initial disturbance in the normal operational pattern of the circuit. 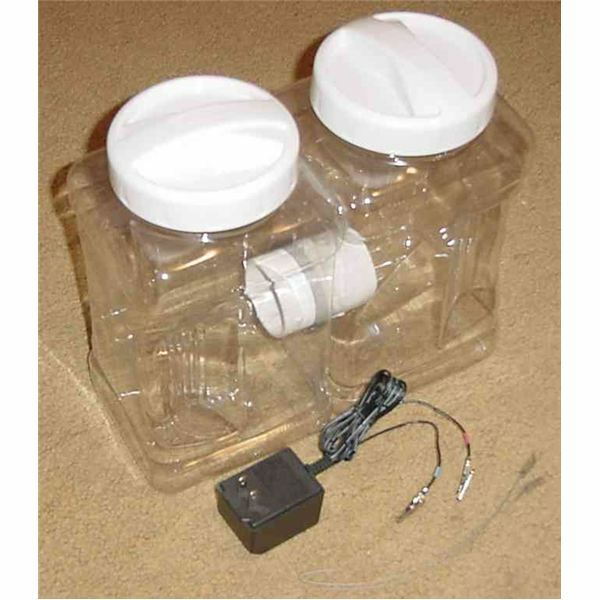 This may cause the various stages in the circuit to start abruptly, giving false results or undesired outputs. This makes it imperative to add some kind of feature which may help the ICs to counter the power-on jolt and initiate the specified function in a normal way. The same is true for the IC 4060, which may begin counting from any random figure if not equipped with the above safety feature. Referring to the figure we find pin #12, which is the reset pin of the IC, instead of directly terminating to the ground, incorporating a series resistor. Also a low value capacitor is introduced from the positive to this pin-out. 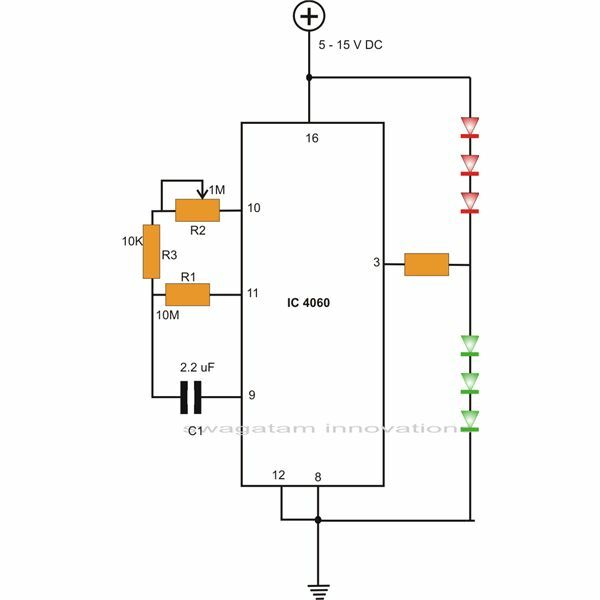 When power is applied, the capacitor initially acts as a short and inhibits the IC from getting a ground potential through the resistor. However, within a few milliseconds the capacitor charges and restores the pin's potential to the ground level. This makes the IC initiate the counting from zero, making the results more reliable. Also called the watch dog timer, the present design can be used as an alarm or for “reminder” timer type applications. The diagram illustrates a simple configuration involving the basic set up components connected as discussed in the above sections. The diode connected across the output (pin #3) and pin #11 has been introduced to latch the oscillations and counting process once the set time period of the IC lapses. The counting can be restored by switching the power OFF and then ON again. The time delay may be adjusted through the pot, which must be first calibrated through some trial and error, but since the response is linear it won’t pose much of a problem. The following figure shows how a rotary switch may be used for selecting different ranges of the available time intervals, enhancing the delay producing ability of the unit to a great extent. The outputs are terminated with a standard transistor/relay stage for the required switching actions of the connected load. 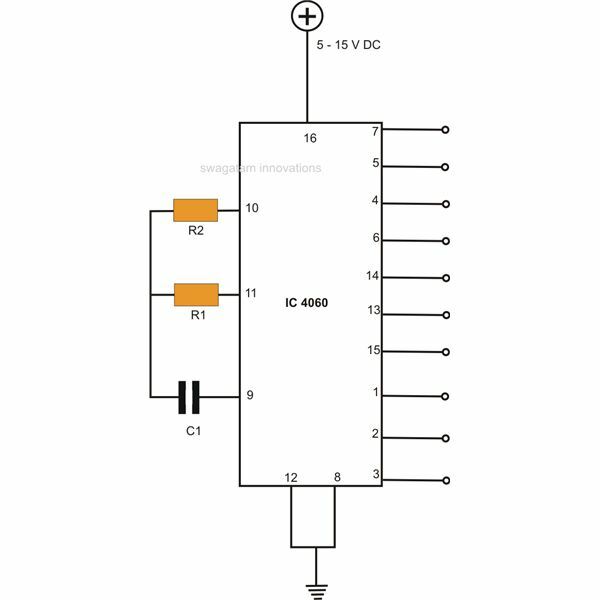 For making a simple LED flasher, the above circuit can be simply modified as shown in the following diagram. 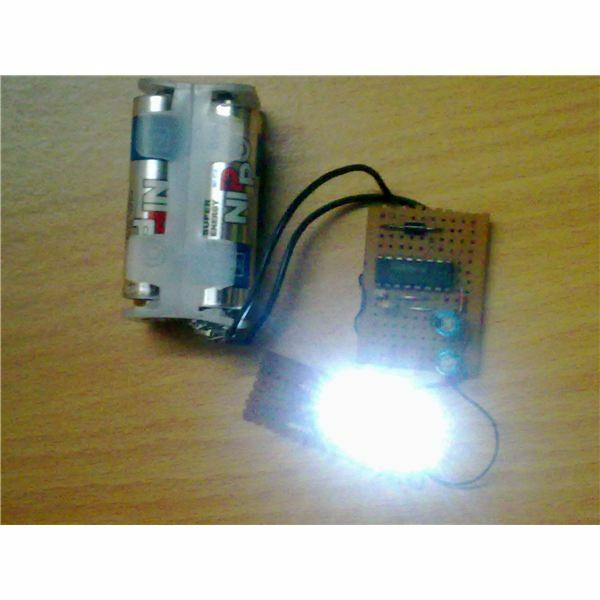 The flashing rate can be varied by rotating the pot as per ones owns preference. 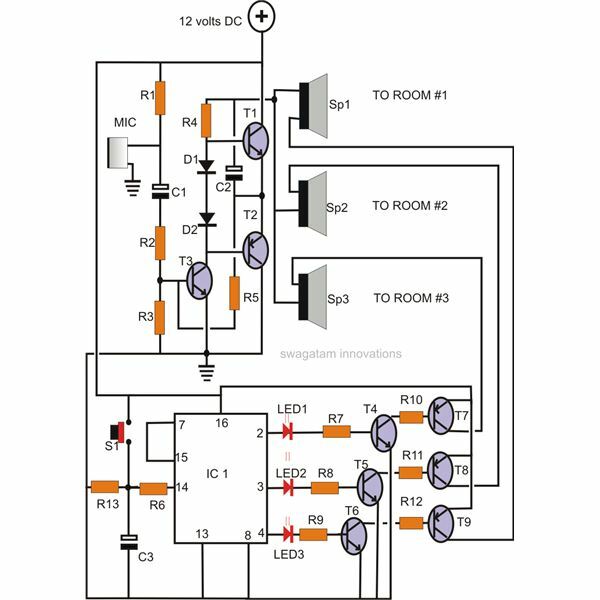 For making a long duration timer circuit using the IC 4060, please refer to this article. Explanation – Authors own experience.